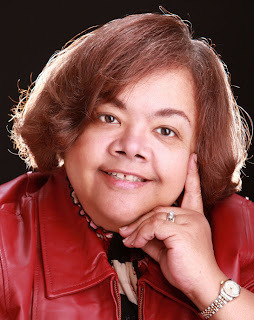 Bonnie Calhoun is the owner of Christian Fiction Blog Alliance and publisher of Christian Fiction Online Magazine. Her first novel with Abingdon Press is Cooking the Books. She is an Author member of International Thriller Writers, and an industry professional member and the President of Christian Authors Network. GLVWG member Jerry Waxler contacted Bonnie to find out a little more about her. Jerry: I’m looking forward to your two workshops at Greater Lehigh Valley Writers, Write Stuff conference this year. One is about improving our writing voice and the other about dialog. I find it intriguing that both relate to the notion of speech. Typically writers work in silence, but both of your sessions connect the speaking voice and the written one. You are a teacher and speaker. How has public or private speaking has helped you improve your writing voice? Bonnie: LOL…I am a natural born speaker. My mother used to say I came out talking and haven’t shut up since. The key to a good writing voice is to write the same way you speak, using the same cadence, and inflection to your tones. For many people it comes naturally, but others have to learn to hear themselves, just like people have to learn to hear that still small voice of the Lord. When you read back your work out loud many times that will help to perfect the tone of your writing because if it’s stilted and unfamiliar when you speak it out loud…then that is NOT your voice. Jerry: One of the things that intrigues me about a writer’s voice is that it adapts to different projects. So for example a novelist might use different sentence structure and word choices than she would use in say a book review. Please comment on how writers can or should adapt their writing voices to match the piece or audience. Jerry: One of my pet curiosities about how writers work is the question of a writer’s notebook. I know lots of writers jot down notes, for example of overhearing conversations. My problem with that method has always been figuring out what to do with the notes. Do you ever eavesdrop on conversations and write down notes? Bonnie: I don’t use notes to develop authentic dialog. I’m old enough to have a whole plethora of voices living in my head, and they each have their own style of talking :-) But I do use notebooks, or OneNote…a great Microsoft product…to catalog ideas for scenes or things that I have seen people do. I travel a lot and I love being delayed at airports….LOL…because you get to observe the strangest people in those situations! Jerry: You seem to be the ultimate renaissance woman, involved in novel writing, book reviewing, working with teens. You’re an entrepreneur, publisher, and seamstress. The coup de grace is your technical blog in which you clearly explain the technical details of blogging with blogger. Could you offer a few words of wisdom or comfort to writers about the web and how you coach your writing friends to push forward through technical hurdles, multi-tasking, and other challenges of the modern writer? Bonnie: I personally wouldn’t worry about blogging these days. I’d spend my time developing a social media network using Facebook, Twitter, Pinterest, and Goodreads. Those platforms are much easier to handle, and a lot more open to audiences. Jerry: Your Love for Groups: You seem to put a lot of your personal energy into promoting writing as a collective activity. At Greater Lehigh Valley Writers Group, of course, we too believe that writers can benefit from turning toward each other for support. Could you share your own reasons or perspectives on what writers get from each other? Bonnie: From other writers, writers get camaraderie, crit partners, and some one who understands the pain and angst that you go through. Other than that writing is pretty much a solitary endeavor.